The difficulty of economic development in the Austrian Empire went further than the obvious, large-scale hindrances such as feudalism, religious persecution and mercantilist price-fixing. There was a much deeper problem of attitude. A glance at the occupational statistics of a country containing a variety of [Christian] religions reveals with striking frequency […] the quite predominantly Protestant character both of capital ownership and entrepreneurship as well as the the higher grades of skilled workers – namely technically or commercially trained employees – of modern companies. With this observation he opened his seminal work The Protestant Ethic and the Spirit of Capitalism (1905/1920). The work is an attempt to identify the reasons for these differences. Weber's conclusions were not the last words on the subject, but they have held up remarkably well in the century or so since he published them. Let us examine them in the context of the unsuccessful economic struggle of the large, strictly Catholic Austrian Empire for survival against the competition of the economically and technologically dynamic Protestant countries of Europe. Of course, there isn't one single homogenous faith that we can call 'Protestantism'. Weber splits this large category up into subgroups, each of which is appreciably different from the others: Lutheran, Calvinist, Pietist/Puritan, Methodist and Baptist. None of these subgroups can be distinctly delineated from the others and each of them, in turn, contains several – sometimes many – different flavours of belief and forms of worship, usually each with its own name, such as Quaker, Congregational, Moravian etc. 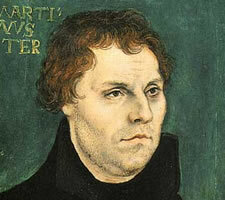 Luther was initially attempting a reform of the Catholic Church – which is why we call the period the 'Reformation' – but intransigence led to a schism and he eventually had to found an alternative, Lutheran, church. Questions, once asked, led to more questions, so that from his initial reform other interpretations gained followers. Weber makes the point that the Catholic Church saw Calvinism and not Lutheranism as its chief opponent. Whereas the Lutheran church could be considered to be a reformed Catholic Church, the break from Luther that Calvinism and all its derivatives represented was irreconcilable. Both the Catholic and the Lutheran churches recoiled with distaste from Calvinism, which 'created a completely different relationship between religious life and earthly actions'. For the first time, salvation was to be effected through everyday life amidst one's fellows rather than through religious life in abstraction. Protestant theology started from the principle that salvation was in the hands of the individual and could be achieved by the individual's own efforts. Arising from this there are certain ideas that are common to nearly all flavours of Protestantism. One was the doctrine of salvation by faith alone, sola fide. The idea was that the individual could achieve salvation without requiring the help or intercession of a clerical organization. Individual faith, repentence and piety could achieve everything that the prelates could offer; their services were no longer obligatory. Furthermore, salvation was granted through Christ alone, solus Christus, meaning that the immense Catholic structure of saints and martyrs with power to intervene on the individual's behalf was now defunct. It was a distraction and therefore a hindrance to the individual's access to salvation. Another important idea was the principle of salvation through scripture alone, sola scriptura. The Bible was a necessary and sufficient source of Christian teaching. It could be understood with divine guidance by every soul and needed no additional interpretive texts. At a stroke the entire edifice of Catholic dogma was swept away: a thousand years of doctrinal councils and orthodox teaching were downgraded. Protestantism also 'rebalanced' the Bible: the Old and the New Testaments were now of equal importance. We find this change illustrated by the frequency with which devout Protestant families gave their children Old Testament names. The direct, New Testament lineage to Saint Peter, the 'rock' on which the one true and all-encompassing Church had been built was no longer applicable. The establishment of these dry doctrinal terms took time and cost much blood and burned flesh. The changes brought about by the Reformation and its subsequent developments were not just theological but brought with them tremendous changes in social structure, social organization and individual outlooks. The most important of these for us at the moment is the change in the attitude to work and the acquisition and use of money. An English translation exists: Weber, Max. The Protestant Ethic and the Spirit of Capitalism. Trans. Talcott Parsons. London: Allen & Unwin, 1976. Note: Although Talcott Parsons effort in making this important work available to the anglophone sociological community was heroic, his translation can be at points obscure: Weber writes in a very dense academic German style that can be a challenge even to native German speakers. I have aimed for comprehensibility rather than style when translating Weber's German, but, just in case, I shall give Weber's original text in the citation. Ein Blick in die Berufsstatistik eines konfessionell gemischten Landes pflegt mit auffallender Häufigkeit eine Erscheinung zu zeigen, welche mehrfach in der katholischen Presse und Literatur und auf den Katholikentagen Deutschlands lebhaft erörtert worden ist: den ganz vorwiegend protestantischen Charakter des Kapitalbesitzes und Unternehmertums sowohl, wie der oberen gelernten Schichten der Arbeiterschaft, namentlich aber des höheren technisch oder kaufmännisch vorgebildeten Personals der modernen Unternehmungen. Und erst recht hat der Katholizismus von jeher, und bis in die Gegenwart, den Calvinismus als den eigentlichen Gegner betrachtet. Zunächst hat das ja nun rein politische Gründe: wenn die Reformation ohne Luthers ganz persönliche religiöse Entwicklung nicht vorstellbar und geistig dauernd von seiner Persönlichkeit bestimmt worden ist, so wäre ohne den Calvinismus doch sein Werk nicht von äußerer Dauer gewesen. – Aber der Grund des. Katholiken und Lutheranern gemeinsamen, Abscheues liegt doch auch in der ethischen Eigenart des Calvinismus begründet. Schon der oberflächlichste Blick lehrt, daß hier eine ganz andersartige Beziehung zwischen religiösem Leben und irdischem Handeln hergestellt ist, als sowohl im Katholizismus wie im Luthertum. ^ The core of this doctrine arises mainly from interpretations of St. Paul's 'Epistle to the Romans' in the Bible, an extremely important work for Protestant theology. As one would expect there is an enormous literature on these themes: 'seek and ye shall find'.